Ropes 360 services offers complete solutions and support, with the goal of maximizing our customers’ safety and their ropes’ operational life. Dedicated rope technicians and engineers offer flexible services, from rope inspection and non-destruction examination (NDE) services to post-retirement examination and feedback systems. Bridon-Bekaert has helped numerous customers implement and manage comprehensive rope inspection programs to avoid the high costs associated with equipment downtime. 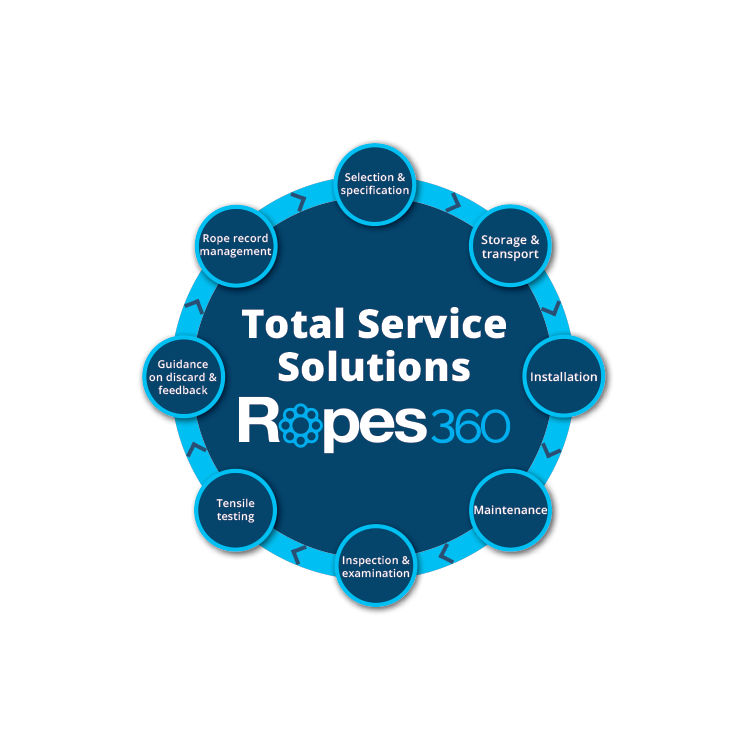 When a rope needs repair or maintenance, Ropes 360 Services provides customers with installation and replacement services, as well as with failure criteria and rope maintenance training to ensure optimum safety and rope life.